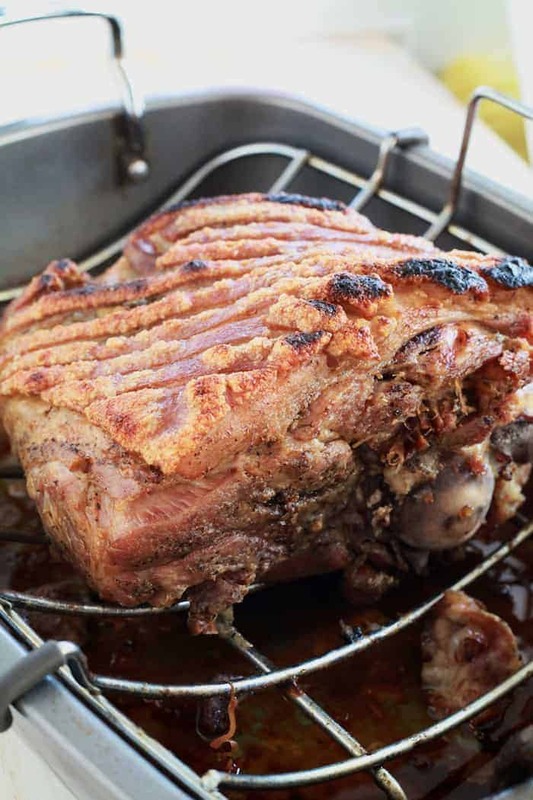 Pernil – Roasted Puerto Rican Pork | There are rankings when it comes to proteins in Puerto Rico and in Puerto Rico pork is king, followed by chicken, beef, and seafood. But, there is no doubt that pork is the most loved. If there is ever a time of year when pernil is most popular it’s Christmas! Every Puerto Rican Christmas Eve dinner requires three things arroz con gandules, pasteles and, of course, pernil! It’s not Christmas without this trinity. In the states you have glazed ham, we do tender roasted pork with crispy skin. Oooooh! That crispy skin is worth fighting over. Since pernil is typically prepared for family gatherings I have written this recipe to easily accommodate any size pernil. The seasoning quantities are for 1 pound of bone-in skin on pork shoulder. 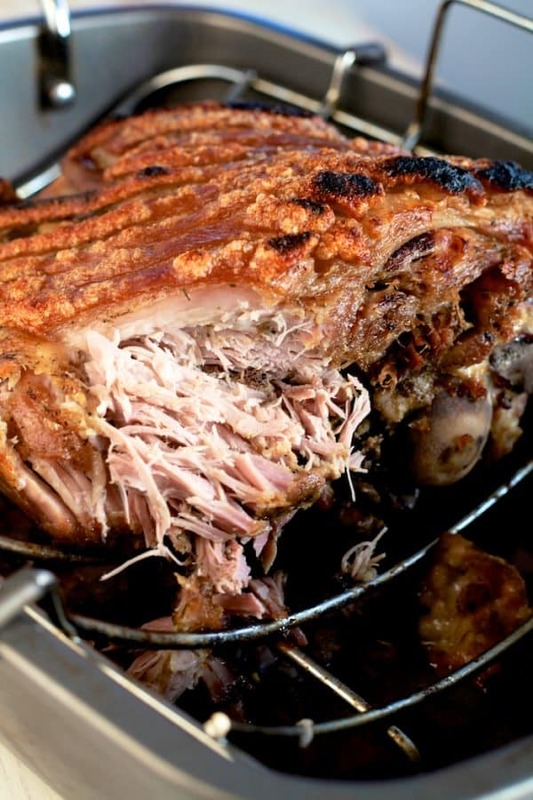 Multiply the ingredients by the weight of your pork shoulder for a perfectly seasoned pernil. In the past, I use to separate the skin completely from the shoulder and season the meat underneath. The problem with doing this was that the skin would start to shrink and create folds. 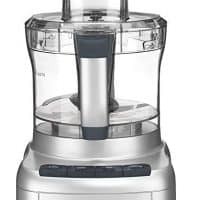 Making it harder to crisp the skin. 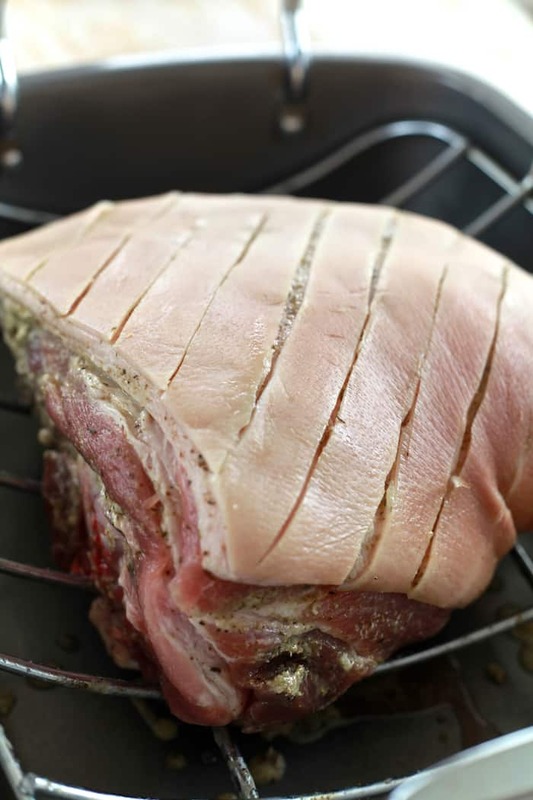 The skin along with the fat would shrink back and no longer naturally baste the meat. To resolve this, I started cutting long pockets under the skin and fat, stuffing them with seasoning. By keeping the skin still attached it gets more taught during the cooking process, resulting in a thinner crispier skin. To season the pernil slip a boning knife under the skin creating a pocket 1 inch wide down the whole length of the pork shoulder. Do this two or three times depending on the size of the shoulder. You DO NOT want to completely separate the skin from the shoulder. Then stuff seasoning into those pockets. Also, make some holes in the meat of the shoulder and fill with seasoning. If you want an effortless smaller version, I have a slow cooker pernil. You won’t get the crispy skin, but you will get amazing tender pork. Below you will find a list for cook times and servings depending on the weight of your pork shoulder. Remember all of these times are for a bone-in skin on pork shoulder. Oh, pork! How I love thee! With your tender, juicy meat and tooth-cracking skin. We have made so many memories together and celebrated so many Christmases. You have made my belly happy and my hips wide. But, I love you so much I wouldn’t have it any other way. 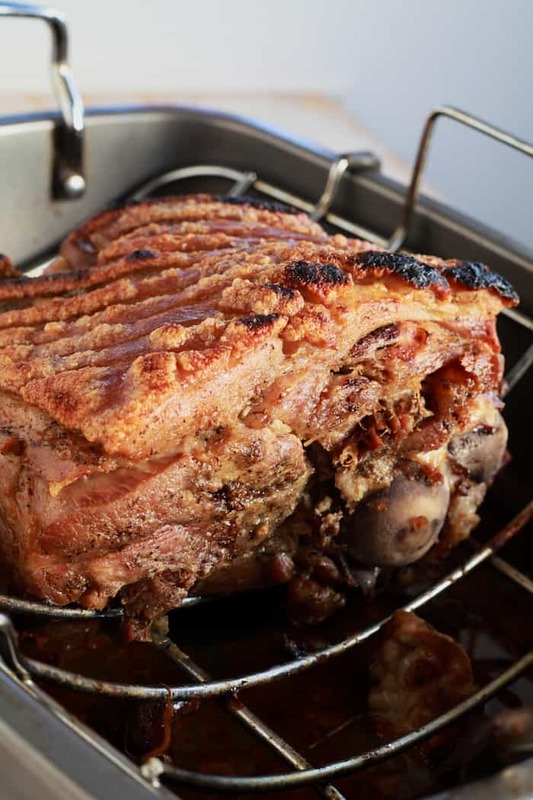 A traditional Pernil (Puerto Rican Pork Shoulder) with tender meat and crispy skin. Rinse pork shoulder under cold water and pat dry. Slip a boning knife under the skin creating a pocket 1 inch wide down the whole length of the pork shoulder. Do this two or three times depending on the size of the shoulder. You DO NOT want to completely separate the skin from the shoulder. Using the same knife make several crosscut holes on all sides of the shoulder, about 3 - 5 on each side depending on the size. Score the skin just enough till you see the fat. Sprinkle with salt and let it sit uncovered for 10 minutes. Using a small spoon stuff a spoonful of seasoning in each hole and the pockets under the skin. Making sure to leave some to rub the outside of the shoulder. Rub remaining seasoning on the outside and into the scored skin. Using a paper towel pat the skin dry. 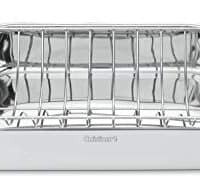 Transfer the shoulder to a roasting rack and cover tightly with heavy-duty aluminum foil. Refrigerate overnight to marinade. Heat oven to 325 degrees. Pull shoulder from the refrigerator and let it sit on the counter about 20 minutes to let off some of the chill. Roast shoulder covered in the oven 35 - 40 minutes for every pound or until fork tender. For example, a 7-pound shoulder would take about 4 hours. Increase oven to 450°F. Cook pork, uncovered, adding water in ¼ cup measures if pan becomes dry until skin is brown and crisp, 20 - 35 minutes, checking pan every 10 minutes. If you want to get a really bubbly crisp you can broil on low for a few minutes. Make sure to keep an eye on it! Transfer pork to cutting board and let rest 20 minutes. Remove skin and cut into pieces. Cut meat from bone and serve with skin and any pan juices. The average yield of a pork shoulder is 62% and the average serving is 6 oz per person. Hey All, this recipe came out great. A few things to note: you CAN cut back the skin the whole way and then coat the meat with the marinade. Here is the trick – you need to secure the skin back over the top! I used toothpicks, but you could use straightened paper clips, too. The trick is do it multiple times (I used 4) so that it can withstand the pulling pressure exerted by the collagen in the skin. Also, be careful when wrapping it for overnight marinating! If you let the aluminum foil touch it, the vinegar in the marinade can dissolve the foil! (this happened to me!) So be careful not to let it touch. It came out delicious, & I would recommend it to everyone in the exact proportions. I always place a sheet of waxed paper on top of the pernil before the foil so that it doesn’t eat through. I leave the paper on for the first 4-5 hours. Oh, how soft! I remove the waxed paper and foil to crisp up the cuerito. My in-laws are Puerto Rican, and they use cilantro, sa?on, and sofrito in their pernil. I haven’t been able to nail it yet however because they’ve made it so long they don’t measure! Wonderful recipe! This is the first time I made pernil and it was a hit—the cuerito especially! The only thing I would change is to at least double the garlic…but we really love garlic in our house. Thank you. Closest to Puerto Rican pernil I have seen on the web. This presents to be great. Will try to do this and blog about it. Hello. Awesome site. Love your recipes. Looking for a good pernil recipe I just stumbled on to your website, and needless to say I hit the Puerto Rican cuisine jackpot. Your recipes take me back to my childhood, when my mom used to cook these delicious foods for the holidays. I’ll be trying your recipe of pernil and arroz con gandules. I know that I’ll be taking a trip back through memory lane with these amazing recipes. Feliz Navidad. Again thoroughly read the recipe. The ingredient quantities are for 1 pound of meat. This is to accommodate any needed weight. Thank you for providing the general ratios of ingredients to meat! There is a 9 lb. beast roasting in my oven at this moment! LOL It was so helpful to have confidence in knowing the right proportions for this pernil. My house smells like la cocina criolla! Hola, las medidas son basada en condimentar una libra (solo lo menciono por ejemplo). Si es un pernil de 2 o mas libras entonces duplica los condimentos. My parents are Caribbean and i lived With them in Fl for 10 years. My mom cooked the same meat a different way when I was younger but once we moved to Fl I started eating pernil from a local Bravo super market and was cooked!!! I moved back to Brooklyn and craved it throughout my entire pregnancy. I’m making it now and praying mine comes out as delicious as your looks and as good as I remember it! Thank you so much for a simple, easy and delicious recipe. 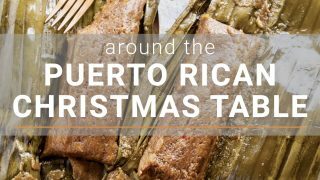 I followed this Pernil recipe for our Christmas eve dinner wanting to recreate the taste of Christmas at home (PR), and WOW, it was the most delicious pernil! It tasted just like my grandmother’s! It was tender, super flavorful and the skin got crispy and gorgeous after broling for a bit, as you suggested, oh and the instructions were so clear. Great recipe! It will be part of my collection every Christmas to come. Thank you! Thinking I might need to make this soon for a summer pool party! Hi Meseidy, I Love me some Pernil… However, I also enjoy to read how many recipes there are on How to make Puerto Rican Roast Pork, I have learned by watching both my Grandmother and Mom do it their way, I even have learned to do it the “Cuban” way (Slightly different than ours, but that’s another story.. LOL). We, (Grandma & Mom & I) never removed nor “Scored” the skin. however, we did pierce (Made holes about 1 to 2 inches deep) all over the roast, including the skin area and stuffed the seasoning down the holes. We all love garlic and we used the Mortar to smash it up add the other herbs and spices with NO Oils, mixed them up and just divided it into all the holes. We still seasoned it well on the outside using “Adobo” or seasoned salt as they say and we ALWAYS did this the night Before we were to cook it. Many times we would pour some “Mojito” all over it and covered it with plastic wrap in the fridge over night. This gave it so much extra flavor… and the Skin would always be crispy and well seasoned which would cause fights as to who got the biggest piece of it.. LOL. I love ALL your PR recipes and now living way out west in Oregon has me yearning for Florida during the big feast with Family & Old Friends. And at time I also think of NY and all the wonderful smells of the street vendors there too. I was born & raised in NY, then moved to Florida as a teenager, lived there over 30 years! Anyway, I just wanted to share my take on this wonderful Roast! Thank you so much for the memories and Keep on posting, I shall be waiting and reading them. (I so enjoy your stories too) You make this old lady smile and Hungry!! Not to mention, Drooling over the pictures wanting to lick the screen!! Oh My!! I have made the roast pork in a slow. Cooker & I let cook for about 8 or 10 hrs. This pernil looks delicious! I usually cut under the fat to season the meat. This time I am trying the scoring technique that you showed. Thank you! I love your site and your blog is so fun! Have a beautiful Christmas. ¡Feliz Navidad!